Building on work in progress on Shakespeare North Knowsley Borough Council have appointed me to develop a way finding strategy to both connect the Station to the Theatre, and develop an understanding of the town’s rich and global history. Further to last year’s work I have rejoined the design team of PAD Design, Mawson Kerr Architects and Landscape Projects to develop the Flotsam and Jetsam strand of the Design Code. Following installation in April Shapling is now commissioned and programmed. Video planned for autumn and darker evenings. Having been invited to speak at the Art & Cities Forum I spent an unusual morning listening to wide ranging discussions on the broad subject, but just a moment to speak myself! 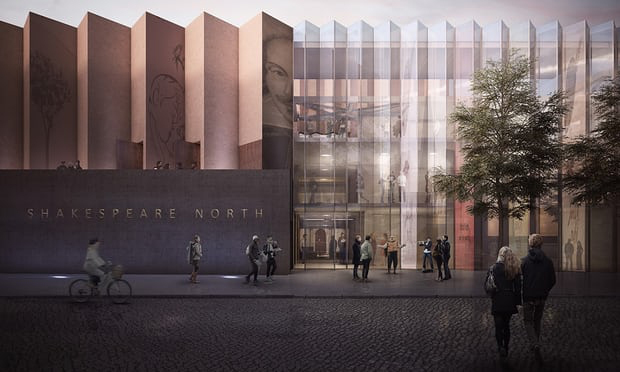 This autumn I am beginning a collaboration with Helm Architecture and Austin-Smith;Lord Architects on the new Theatre and MA study Centre in Knowsley where Shakespeare's group performed during the Plague of London. The re-landscaping of St Peter's Church, Wearmouth has won the Commercial Landscaping Award at the recent Northern Design Awards. Built in the 7th Century it is one of the first Churches in England to have stained glass windows, the start of a lengthy glass making legacy, resulting in the National Glass Centre built nearby.